If your essence is dragging, dark and cynical, with nothing new going in or out, then it is time to open up to how your really feel and let yourself express your inner self. No matter what comes out, it is a an important journey to re-connect yourself to your emotions. This will re-awaken your Spirit to all the love life has to offer. Kimberly Marooney , a wonderful angel messenger writes about two magnificent angels ready to help us. 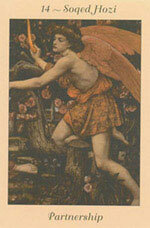 Golden Angel Phanuel and his message of hope and the Angel Soqed Hozi invite us into a partnership with the divine. Kimberly is the inspiration for this post. Hope is a pathway to God, that whatever you hold in your heart for the highest and the best is attainable. Hope is a feeling of trust and desire for the highest good. The key to ignite the power of hope is trust and belief that good will prevail. When that belief fails us, there are things we can do! Without Hope, fall into despair and have deep doubts about our lives. This can lead to depression with no healing available. When hopelessness is overwhelming we become frozen and powerless to help our own self. The built in remedy for this downward spiral is the passion of RAGE. The energy of our internal rage brings us out of this despair. It is fear that takes us into the tailspin. It is fear and terror that shut us down and paint for us an illusion of isolation. In the realm of fear there is isolation, terror, numbness and powerlessness. We experience a disconnection for our spirit, our self and our divine guidance. Our minds rule the world of fear, our hearts rule the world of love, spirit and healing. Hopelessness and Fear work together as a team to disillusion us. Hope and Love inform us and sustain us through all situations. It is our spirit and our LOVE that brings us out of this kind of anguish. In the realm of LOVE, If we look at love in all it’s aspects, is passion, emotion, awareness, inspiration, creative ideas. ACTIVE action. In this sense Rage and Anger are in the realm of love. It is a sign of being alive. Rage is probable the most powerful energy in our world. It is RAGE that moves mountains. In the event of hopelessness: find a way to open to the terror of the situation to uncover your anger and rage you really feel. Call in Angel Phanuel, your guardian angel and your soul and God to help you break through the overwhelming feelings of fear. If you need to, Find a safe person who can walk through this with you. Create a safe and sacred place to do this is work. Express this rage: Flat out, like a two year old. Kicking, crying, screaming until you feel the numbness abate and the power of your emotions begin to flow again. The flow of emotions within our self is key to our spiritual progression in life. When we block an emotion because of fear or being overwhelmed with pain, we also block the potential healing. All information stops. Even the healing good stuff stops. Explore your Real Feeling For a day: Observe how fear sneaks around and through you, to affect and control you. Are you afraid to express how you really feel? Do you hold back expressing yourself? Are you afraid for your own personal safety? Do you give people the upper hand because of fear? Do you keep yourself small? Are you afraid of being punished for expressing your true self? Do you see yourself as worthless and then feel bad about it? Fear’s job is to keep us safe, but sometimes fear can take that job too far. Our past pain and injuries continue to inform us even when the situation is gone. Fear disguises itself in many ways, including the sense of emptiness and numbness as well as a lack of self worth. Clear old fears and replace them with awareness as discretion that is appropriate for the present moment. This is where trust and faith come in. We are free to invite in our higher self and our spiritual guardians to walk with us through high-charged situations. We then will be able to freely make the best choices possible rather than fear-based choices or fear-based reactions. It is our emotional expressions that help us break free from the blocks and chains caused through fear. As you express yourself, call in and allow your higher self and spirit to bring in expanded awareness. Keep your mind still and quiet while you explore your emotions. Often we let our emotions flow and our minds start working, nodding in agreement as if to say “Yup, that’s what I am saying, this is bad, yadda yadda yadda…” in this sacred time, move your thoughts aside and stay in the healing flow of your heart. Read more: Hope Springs Eternal! Read More: Is it Safe to Be Hopeful? ← Is It Safe To Be Hopeful? What a timely topic! Many of us have felt deeply challenged the last few weeks. The angels are here to hold us in loving comfort, sooth our wounds, and illuminate our thinking with solutions. The angels are present for you. Just ask and they will respond.